In my continual efforts to get better sleep, I've tried an endless list of strategies to catch more z's. From silk eye masks to essential oil diffusers to melatonin, some methods worked more effectively than others, but none of them completely cured my restless nights. A large part of my sleeplessness can be attributed to a noisy upstairs neighbor whose nightly workout sessions make me feel like I'm living below a CrossFit gym. Even the most potent lavender oil couldn't calm me after a thunderous thud of a weight dropping to the floor (my ceiling) at 3 a.m.
After hearing all of this, my sister gave me the gift of a white noise machine. Small, sleek, and robot-looking, the $50 addition to my room has made a tremendous impact on my sleep, despite the continuation of the noises that used to wake me up. The ambient sounds soothe me into a slumber, and they keep me knocked out until my alarm goes off in the morning. It's only been a couple of weeks with my white noise machine, and I'm already a believer. However, I wanted to find out why it worked so well. To learn more about the science behind the sleep aid, I reached out to Michael Gelb, DDS, MS, who specializes in early intervention for sleep disordered breathing and co-authored GASP! : Airway Health—The Hidden Path to Wellness. Gelb explained that white noise machines help shut out environmental noise, which reduces sleep fragmentation or disturbed sleep. So when a thud in the night wakes you from your slumber, it isn't the sound itself that startles you per se, but the change in sound consistency of your environment. When a white noise machine is playing sounds of every frequency, thuds, creaks, and voices are less audible to the ear, meaning you're more likely to sleep through the disturbance. Though white noise machines are effective for sleepers who are looking to eliminate sound disturbances, Gelb notes that for patients with chronic insomnia, cognitive behavioral therapy is recommended. "If that fails, you might want to have an airway-centric doctor evaluate your breathing, as a narrowed or constricted airway can be a cause of insomnia and anxiety," he says. 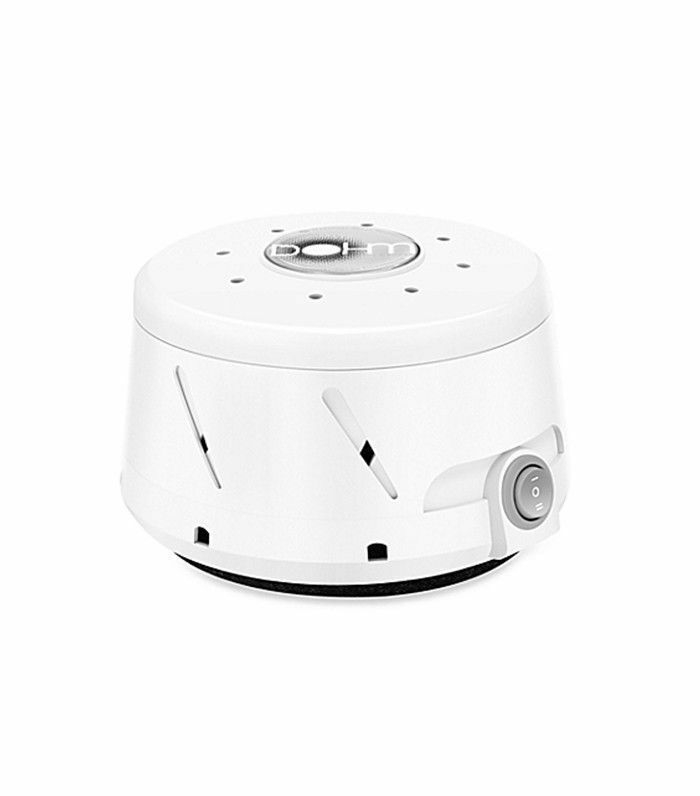 Shop my white noise machine below to give it a try. Have you tried to fall asleep using a white noise machine? Head to the comments to share your thoughts, and then check out fascinating sleep devices with more than 1000 Amazon reviews.